Somewhere, in the deeply wooded forest that surrounds the Joseph Kelly Cemetery, lie the bones of the Fowler Patriarch of Union County, South Carolina, Henry Ellis Fowler. His grave is among the many marked with only a field stone, and among the few fortunate enough to be remembered with an engraved headstone. Today, his countless descendants are scattered across places near and far; places populated with the offspring of his offspring. Could Henry Ellis have ever entertained the thought in his lifetime that someone would try to catch a glimpse of his existence over 200 years after his death? Henry Ellis was born in Virginia circa 1746, more than likely a son of Godfrey Fowler and grandson of Mark Fowler, descended from the John Fowler who immigrated from England to the New World…America… in the mid 1600’s. Henry Ellis married Catherine Puckett, daughter of Ephraim Puckett and wife Hannah, while living in Virginia. Some of their children, if not all, were born in Virginia. They had seven sons and three daughters who managed to survive the perilous childhood illnesses of the times and reach adulthood. Much has been written about Charles Sims, friend as well as Captain to Henry Ellis during the Revolutionary War. Through these treasured words, we are able to learn more about the life of our Henry Ellis. It has been said that the two men moved from Virginia with their families around 1773/1774 and settled on Tinker Creek in the western part of what was later to become Union District. At some point in time, Henry Ellis and sons made their way across the county to the lush lands near the headwaters of Fannin Creek, and later, the Pacolet River, making their homes on Mill and Sandy Run Creeks. There are numerous land transactions recorded at the local courthouse indicating that they lived there in the late 1700’s through the mid 1800’s. 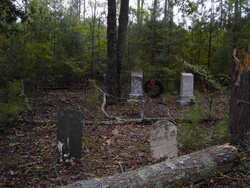 Although its exact location is still unknown to me, there is a Fowler family cemetery, probably filled with scattered field stones, near the banks of the old Mill Creek. These are my people. Catherine died circa 1800, and Henry Ellis married her sister Mary Puckett. Henry Ellis made his will in January 1808 and was laid to rest shortly afterwards. Although this was the end of one brave, God-fearing man, it was also the beginning of the legacy he left behind in his children and grandchildren and their children’s children. I am starting this blog to document the lives and share my research of the early Union County Fowler pioneers. There will be facts and maybe a little speculation, but mostly facts. I will use census records, deeds, wills, cemetery and church records, and every piece of information available to peer into the past and reconstruct the lives of the ones who came before us. This will be an in-depth study of Henry Ellis Fowler and his many descendants. I will also concentrate on the Union County Fowler lines that may or may not be genetically linked to Henry Ellis Fowler. Hang onto your hats…we are going back in time!